The prevalence of a variety of chronic diseases has significantly gone up among women in the past few years. Be it due to the rising population of geriatrics or change in lifestyle, the rate of incidence of chronic diseases in women is likely to continue to soar in the next few years as well, thus making an increased focus on women health rehabilitation highly imperative world around. Medical rehabilitation refers to a well-monitored activity assisting in the overall rate of improvement of the overall health status of women after prolonged illnesses. Thus, there has been an increased demand for women rehabilitation services in the recent years. Factors such as rise in deaths during childbirth, especially across developing economies, a vast surge in accidents and related injuring, and an increased prevalence of cardiovascular diseases are all compelling government bodies to focus more on practices and products that can rehabilitate health among women. 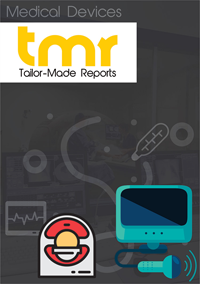 This report covers a thorough analysis of the overall development of the global women's healthcare rehabilitation products market in the recent and present times and presents an overview of future growth opportunities. The market for women's healthcare rehabilitation products has massively benefitted from an increased rise in advanced technologies for rehabilitation products. The increased integration of such technologies in modern-day products are making them more precise and effective, thus compelling their usage among women. While the acceptance of advanced healthcare rehabilitation products and services was limited in developing economies, especially owing to the high costs of advanced products, the trend is rapidly changing as women are increasingly becoming a part of the workforce and are seeing a constant rise in their disposable incomes. Rising availability of economical products across all product segments is also helping the global women's healthcare rehabilitation products market expand at a healthy pace. Of the key product varieties available in the market, products used for relieving issues related to pelvic pain, bone health, breast cancer, urinary incontinence, pregnancy, and osteoporosis constitute a major portion of the overall demand across the globe. The segment of urinary incontinence products accounts for a major share in the overall market and the segment is also expected to witness a massive rise in demand in the next few years. Geographically, the market for women's healthcare rehabilitation products earns a large share in its revenue from sales across North America and Europe. Along with being the leading consumers of women's healthcare rehabilitation products, these regions also account for a large share in the global production of such products. As a result, these regional markets are expected to display healthy growth in the next few years. Consumption of a variety of women's healthcare rehabilitation products will remain steady in the regions owing to the high level of awareness, encouraging reimbursement and healthcare policies, and the high prevalence of chronic conditions such as cardiovascular diseases and cancers. In the near future, growth of the market in Asia Pacific is likely to outpace North America and Europe markets for women's healthcare rehabilitation products owing to increased awareness and rising availability of economical products in the region. Rising disposable incomes, increased expenditure on healthcare, and a vast surge in the prevalence of chronic conditions are factors expected to drive the regional market. Some of the leading companies in the global women's health rehabilitation products market are Access Health, Carib Rehab Ltd., GPC Medical Ltd., GE Healthcare, Meyer Physical Therapy, Vandana Surgical Cotton Ind. , Pelvic Health and Rehabilitation, Rehab Plus, Sportstek, and Win Health Medical Ltd.